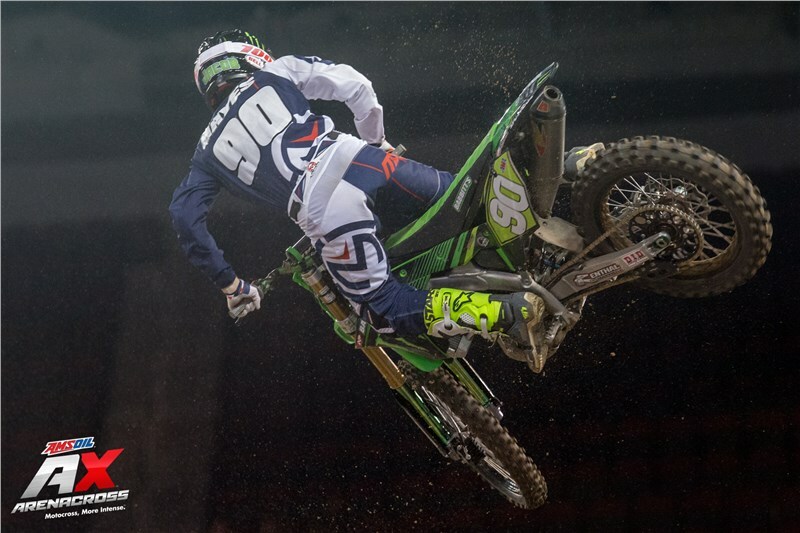 Foothill Ranch, Calif. (April 8, 2018) – The 2018 AMA Arenacross Championship returned to action at the Intrust Bank Arena in Wichita, Kansas on Saturday night for the second round of the Race to the Cup. 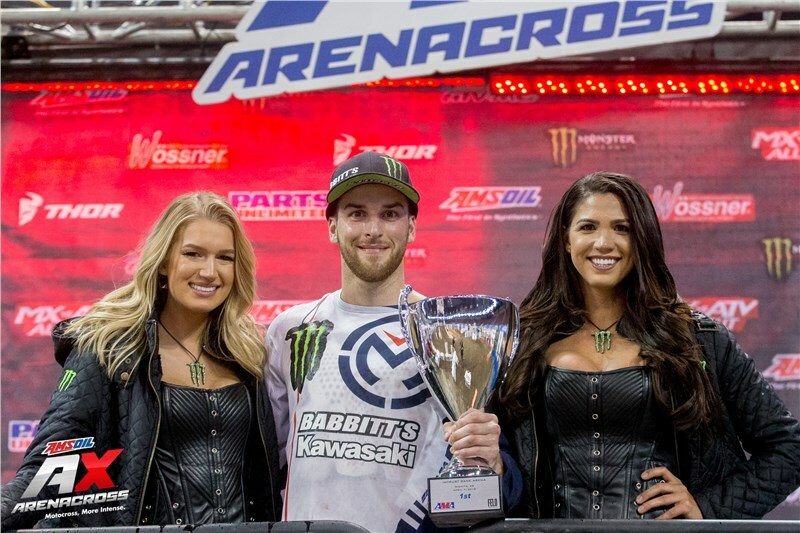 Team Babbitt’s/Monster Energy®/Kawasaki rider Jacob Hayes returned to the winners circle by topping the 250AX Class, and earned an additional championship point by winning the Head 2 Head Challenge, moving within a single point of the championship points lead. GPF Babbitt’s Online Kawasaki’s Ryan Breece continued his winning ways with his third consecutive victory in the AX Lites West class. Hayes powered his KX™250F to a second place start in 250AX Main Event 1, just ahead of Kawasaki duo Breece and Travis Sewell in third and fourth, respectively. Hayes pushed hard to maintain his position and finished second, while Sewell overtook Breece for third on Lap 13 and rounded out the podium. 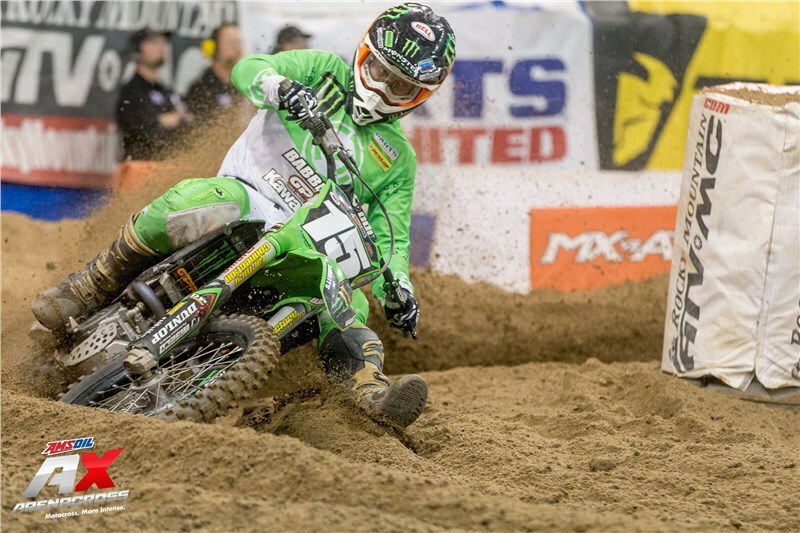 Breece narrowly missed the podium in fourth, while Isaac Teasdale and Gared Steinke finished fifth and sixth and Monster Energy® Kawasaki Team Green™ rider Lance Kobusch completed the top-10. In Main Event 2, Hayes launched out of the gate to take the holeshot and kept his competitors at bay throughout the entire 15 laps to win his seventh Main Event of the season. Kawasaki riders Richard Jackson, Steinke, and Breece battled until the final lap to finish fourth, fifth, and sixth, respectively. Kobusch continued his impressive riding by crossing the line in ninth. 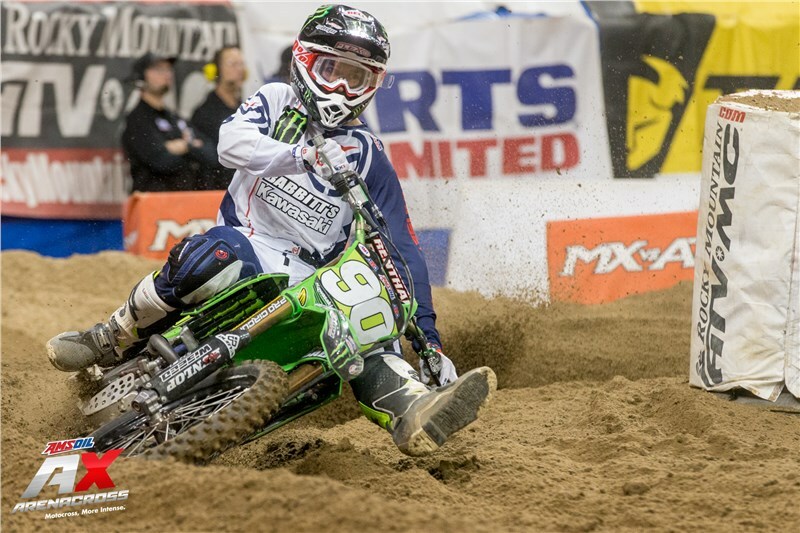 As the gate dropped on the AX Lites West class it was all green out front as Kobusch captured the holeshot, followed by GPF Babbitt’s Online Kawasaki supported riders Breece and Teasdale. Breece and Teasdale quickly made a push to the front by moving past Kobusch on Lap 1. Breece was under pressure early in the race from Teasdale, but extended his lead in the final laps to take the win by 5.3 seconds over Teasdale. Kobusch rode consistent to round out the top five.